Rainburn was founded in the fall of 2011 by classically-trained pianist Avik Chakravarty. 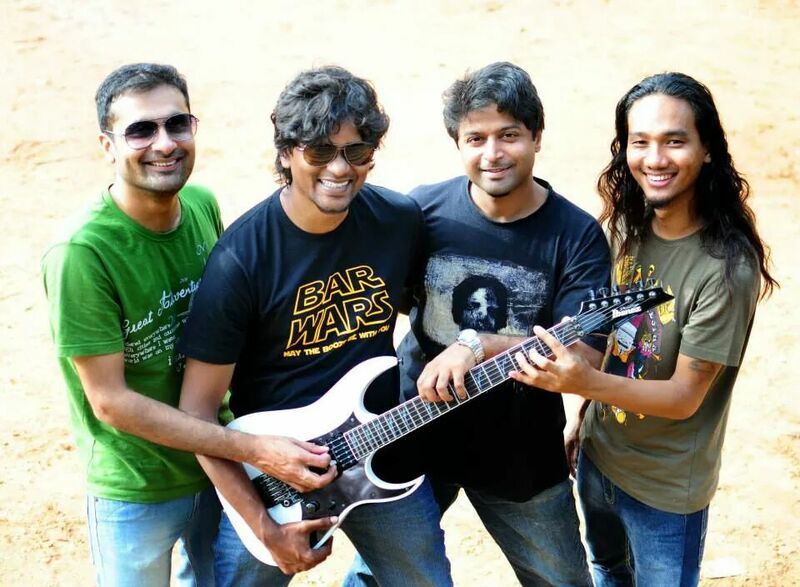 The bands brand of technical-yet-accessible music allied to impassioned covers of bands like Rush, Alice in Chains and Porcupine Tree found immediate takers in the Bangalore music scene. This also lead to gigs throughout the southern Indian circuit. 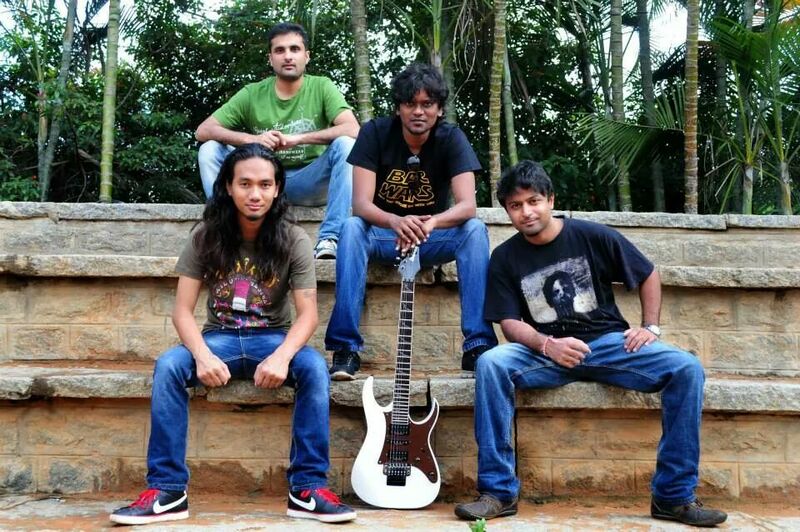 In the middle of 2012, Jayaram Kasi left only to have Shishir Gupta as the new bassist. Since, the band recorded and released two demo songs – ‘End of Sleep’ and ‘Listen Through the Noise’. Still, Rainburn’s musical leanings were shifting closer to home. After opening for the mighty Avial, to an audience of several thousand people at Eurotech Maritime Academy, Cochin, the band hit an unfortunate hiatus. Recently, they emerged out of their temporary hiatus with renewed force, road-testing not only songs from the upcoming EP but also performing ambitious covers of bands such as Dream Theater, Megadeth and Steve Vai. How did Rainburn begin? How has the journey has been so far? In the dying throes of the summer of ’11, it was ordained by forces beyond human reckoning for four sonic warriors to meet and embark on their holy quest of eliminating mediocrity from the musical landscape of our beloved earth. I formed the band with a keyboard player, who was in another band at the time with Praveen, our drummer. So the three of us got together and we soon met our first bassist through Praveen. But mostly the thunder and holy quest thing. The journey has been very interesting and demanding at the same time! At times, keeping the band together and going has been a real struggle. You guys have gone through a lot of line up changes. How are things settling in now? Yeah, the line-up changes have been a big part of the “demanding” aspect of the journey that I was talking about. This band has actually taught me a lot about living in the moment! Things look fairly stable right now and this is also the longest we’ve gone without a line-up change (11 months)! But, to quote my favorite band, “Tomorrow never knows”. Whatever the future holds, Rainburn will definitely keep chugging along. Your New EP is coming up next month. Tell us the influence behind the music that you play and has gone into making into this EP? The way I see it, there are three distinct facets to Rainburn’s music. The first element is odd and changing metres and unusual structures and arrangements, that we gravitate towards a lot because most of us in the band love progressive rock, both old and new. The second is Indian music; this is subtle and not always easily evident, perhaps because we don’t use any “Indian” instruments or sing in a regional language. But what we do is have songs that are often based on a particular raga, not all the way through but the bulk of it. For example, much of our song ‘Refuge’ is based on a raga called Megh, ‘Canvas of Silence’ on Abhogi, ‘Veil’ is largely Puriya Dhanashree (with a little interlude in Bhairav) and so on. The last significant element is a kind of pop/accessible sensibility in the compositions and melodies because we don’t want to make noodley, self-indulgent music, we always want to have a song-oriented focus. What has been the biggest challenge in making this album that you have faced? Where do I begin?! Our other guitarist at the time had to leave the band and the city right after we started recording. Then we had difficulties in financing the recording, personal issues, professional issues, emotional issues, sleep issues, psychological issues, physiological issues, political issues, deaths, births, re-births, second deaths, the whole nine yards. But listening to the final product, which is our finished EP, makes the hassles seem worthwhile. How do you think the world perceives Rainburn? What about the band do you think the fans love the most? I think initially we were perceived as a band that plays a lot of complicated music and it got us a significant amount of recognition locally, mostly from other bands and musicians. That was nice but we wanted to get away from that a little bit and try to make music for all kinds of people, not just musicians. Many of my most favourite musicians (The Beatles, Zeppelin, and, closer to home, Ilaiyaraja) were super popular, yet they had extremely innovative and complex (as opposed to complicated) music at times. Hopefully, when people listen to our EP, they’ll find elements that appeal to their emotional or cerebral side as much as to their musical side. What is the basic song writing procedure and how do you guys manage yourself and keep up the discipline to work on music? So, basically, I present more or less finished songs to the band which the other members then colour in their own ways. Praveen, especially, helps a lot by suggesting things that make the songs flow better. The discipline comes naturally from the love of music and doing what we do. Some of the non-musical aspects such as promotional work or co-ordinating rehearsal timings may seem a bit tedious at times but it’s for the band and ultimately the music, so it’s all good. Entering the music scene on your own has had to have been a challenge, what are the things that you love and hate about the scene? The scene here in Bangalore (and, as far as we could tell, in other cities we’ve played in like Kochi, Chennai, etc.) is extremely supportive…musicians help each other out, most of the other bands we’ve played with are nice people without attitude problems, and bands are appreciative of other good bands, which is very healthy. As for something I would want to change – A bit more support from live audiences for music that is truly original and doesn’t just sound like their favourite bands wouldn’t go amiss! The scene, if organized and marketed properly can have a much bigger mainstream presence, I believe. When you look at your band, what do you see? I see three other guys who wish they looked as good as me, haha! Seriously though, I see a band with a lot of potential and one that’s headed in the right direction. I see people who are talented musicians and hard-working and often inspired. But mostly I see three guys that I have some good times with. Is there a tour on the cards? Any special places where you might be performing soon? We are in the process of putting together shows in various venues in, as well as outside, Bangalore to promote the EP, so yeah! The digital release is going to be a 3-day event; Day One, November 7th, is the date of release. Listeners in India can buy the music through OkListen.com and for those outside India, we will be selling via CD Baby, iTunes and Amazon. Day Two, November 8th, we mark the release by playing a special gig at Counter Culture, Bangalore. Day Three, November 9th, Radio One Bangalore will be airing an hour-long Rainburn feature at 9 pm, with an interview with the band members as well as playing all the songs from the EP. It’s all very exciting! The physical CD will be released a couple of weeks later and then of course another launch gig plus more gigs in support of the EP. Please keep an eye on our website www.rainburn.com for all upcoming shows. Please visit www.rainburn.com to check out samples of songs from our upcoming EP. If you like them, I hope you will buy the EP, spread the gospel of Rainburn to your friends and support us by coming to our gigs. Visit our Facebook page (www.facebook.com/rainburnofficial) and drop a comment on our music or anything else you feel like…we love to meet and hear from new people!